Aaron Ramsey finished off a slick passing move in the 14th minute before Lucas Torreira's shot deflected in off Kalidou Koulibaly. The Gunners could have scored more in an impressive first-half display, but Napoli improved as Lorenzo Insigne and Piotr Zielinski both spurned excellent chances from close range. Ramsey also missed a fantastic opening when he fired over in the 81st minute. 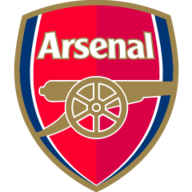 The misses for both sides mean Arsenal, who face Watford on Monday Night Footballl, hold the advantage ahead of the return leg, but they might regret not taking more of their opportunities in a one-sided first half. Ramsey and Ainsley Maitland-Niles both saw shots blocked in quick succession by Koulibaly before a slick passing move set up the opening goal in the 14th minute. Mesut Ozil, Ramsey and Alexandre Lacazette combined before Maitland-Niles teed up Ramsey to finish from inside the box. Arsenal scored a second in the 25th minute as Torreira won possession in the Napoli half and then turned on the edge of the box and hit a shot that deflected off Koulibaly and beat Alex Meret. The Gunners should have taken further advantage of a sloppy Napoli display but Pierre-Emerick Aubameyang saw three shots saved and Lacazette swung and missed at an effort from inside the box. 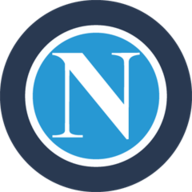 Napoli spurned a glorious chance for an away goal when Insigne blazed over from around the penalty spot late in the first half. The Serie A side improved after half-time but Arsenal still had chances as Meret tipped over a shot from Ramsey and Nacho Monreal headed over from 10 yards out when he was unmarked at a corner. Pierre-Emerick Aubameyang made the Arsenal XI after starting as a substitute in the last two matches due to illness. Alexandre Lacazette also started along with Mesut Ozil, Aaron Ramsey and Laurent Koscielny. Meret then saved from Maitland-Niles before Napoli missed a superb chance when Insigne crossed for Zielinski and he turned over from 10 yards out. Ramsey returned the favour as he fired over from an excellent position before Aubameyang shot into the side-netting from inside the box. It was a close call between Ramsey and Torreira, but the latter gets the nod for a strong display in the middle of the pitch. He regularly broke up play and made the second goal by himself as he won the ball and then drove towards goal before hitting a shot that deflected past the goalkeeper. Arsenal travel to Watford on Monday Night Football, live on Sky Sports, before the return leg next Thursday. Napoli travel to Chievo in Serie A on Sunday.